James J. Raiola has been one of the most successful leading producers with MassMutual Financial Group for the past 30 years. 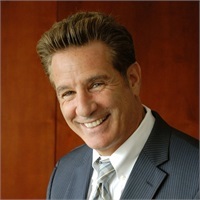 Holding the professional designations of CLU, ChFC, and CFP, James Raiola provides a broad array of employee benefits consultative services as well as the design and implementation of specific financial strategies and selective products for businesses and their key management personnel. Mr. Raiola presently services over 1500 clients located throughout the country. Due to the volume of business that his firm represents and his level of expertise, James also participates on the Advisory Boards of Blue Cross, Tufts, United Healthcare, and Delta Dental. He has also served on the Board of Directors for the Rhode Island Financial Planning Association. Additionally, James has been a frequent guest commentator on the NBC TV 10 Morning Business Report and has been invited to participate on numerous occasions as a featured panelist to the annual Providence Business News Health Care Summit.